I don’t know, maybe it’s just me, but I love a good old fashioned peach cobbler anytime of the year. You know how most people say that apple pies are for the fall, lemon meringue is for the summer, and pecan pies are for the holiday season? Well, I think peach cobbler can be enjoyed anytime of the year. I don’t hold my love of peach cobbler to any specific time of the year. I think it’s a crime against humanity to enjoy a southern peach cobbler only for a couple of months. 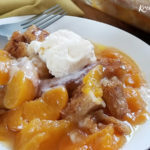 I love it so much that I even came up with a 3-minute microwave peach cobbler recipe for those times I want one really quick and don’t want to share. 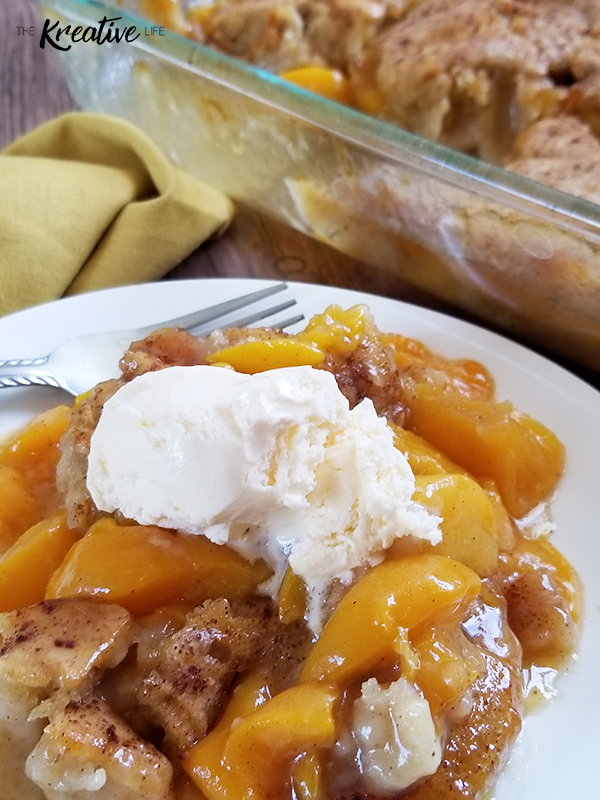 This easy peach cobbler with canned peaches recipe is definitely one of my favorite desserts. I’ve tried making a southern peach cobbler with fresh peaches, but for some reason I prefer the canned fruit over the fresh fruit. This is really weird for me because I love eating fresh fruit throughout the day and the only time I do buy canned fruit is for making about two or three desserts, this being one of them. Also, it’s a time-saver for me because I don’t have to fight with getting the fuzz off of the peaches before I cook them. 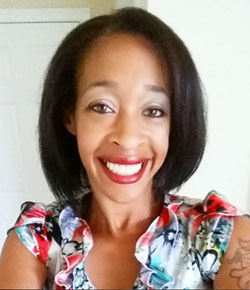 This mom needs all of the time she can get! It took me a couple of years to perfect this recipe because my taste has changed over the years. I had an almond extract phase and then an orange extract phase, so those two worked their way into earlier versions of this recipe. Admittedly, they were good but they weren’t good enough and I think they took away from the flavor of the classic peach cobbler recipe. 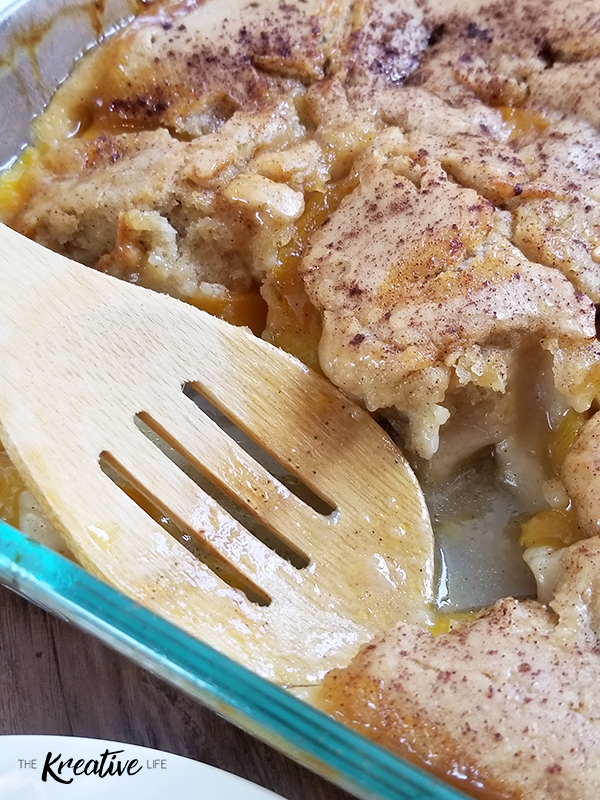 My husband was my sole taste-tester in the beginning and he never really gave my peach cobbler bad reviews, of course. 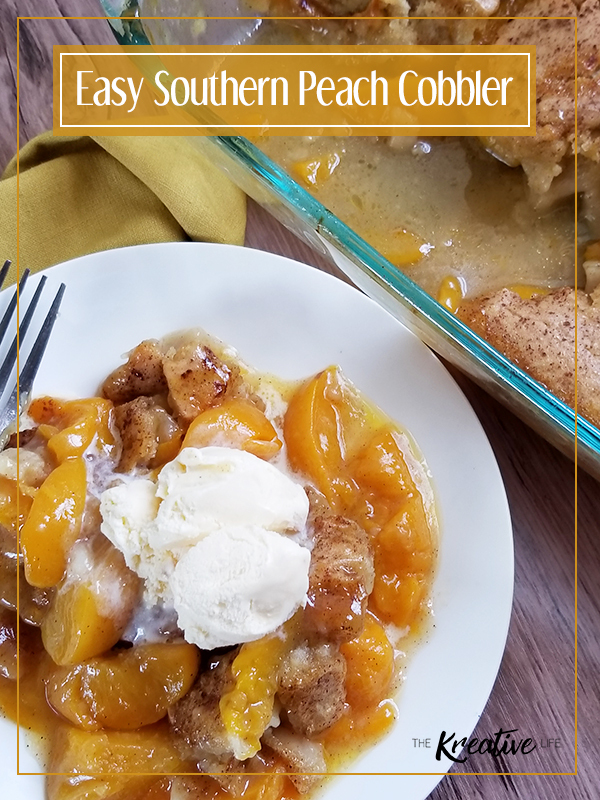 Now that my babies are older and I started getting more requests for my peach cobbler at family get-togethers I know that I’ve made the perfect peach cobbler recipe. One thing that I like about this recipe is that I’m able to substitute coconut oil for butter. This substitute is great for people who have a very high lactose sensitivity, like myself. If I do choose to live on the wild side (or am out of coconut oil ) I’ll definitely use butter from my original peach cobbler recipe. Sometimes love does equal pain…Ok, I guess only when it comes to my love of peach cobbler. 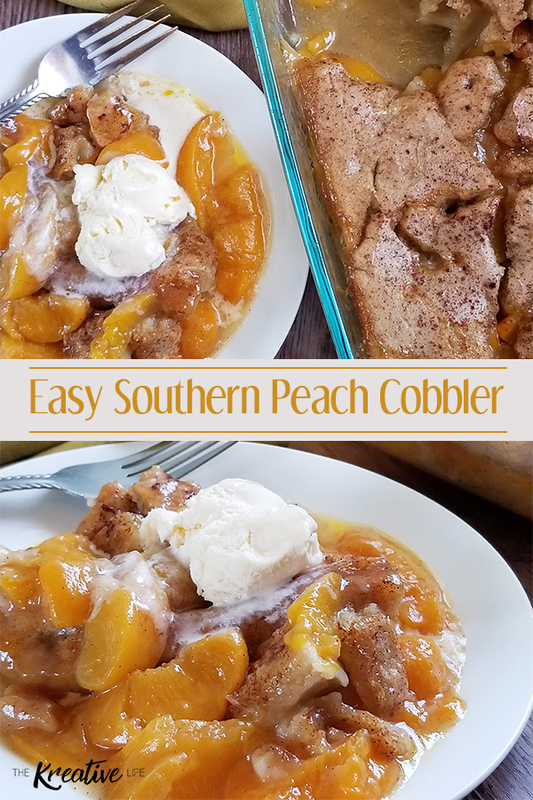 When I truly want to live on the edge, after piling some warm peach cobbler on a plate, I’ll top that baby off with a scoop of vanilla ice cream! 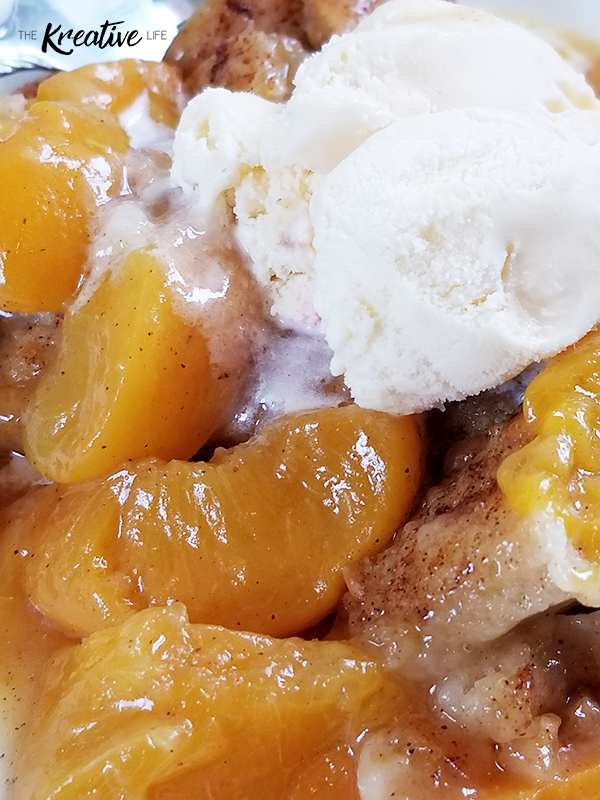 Now, there’s really no way to beat southern peach cobbler with vanilla ice cream! Preheat oven to 375°. Place butter in 9x13 casserole dish and put in the oven until butter completely melts. For the peaches, in a sauce pan over medium heat, cook the peaches, cinnamon, nutmeg, sugar, and vanilla extract. Stir until sugar is completely dissolved. Remove pan from heat and set aside. For the batter, in a mixing bowl, mix flour, granulated sugar, brown sugar, cinnamon, baking powder, and salt. Slowly stir in vanilla extract and milk. Evenly pour the warm peaches over the butter in the casserole dish. Evenly pour the batter over the peaches. Do not mix the peaches and batter together. Sprinkle cinnamon on top of batter. Bake at 375° for 35 minutes or until batter is completely cooked. Serve warm with a scoop of vanilla ice cream. Hi, Kate! Thank you for the pin! I hope you like the recipe! Hi, Brenda! The tbsp. measurement is correct in the peaches.